Apple Vale Alpacas: White coats on the cat walk. White coats on the cat walk. 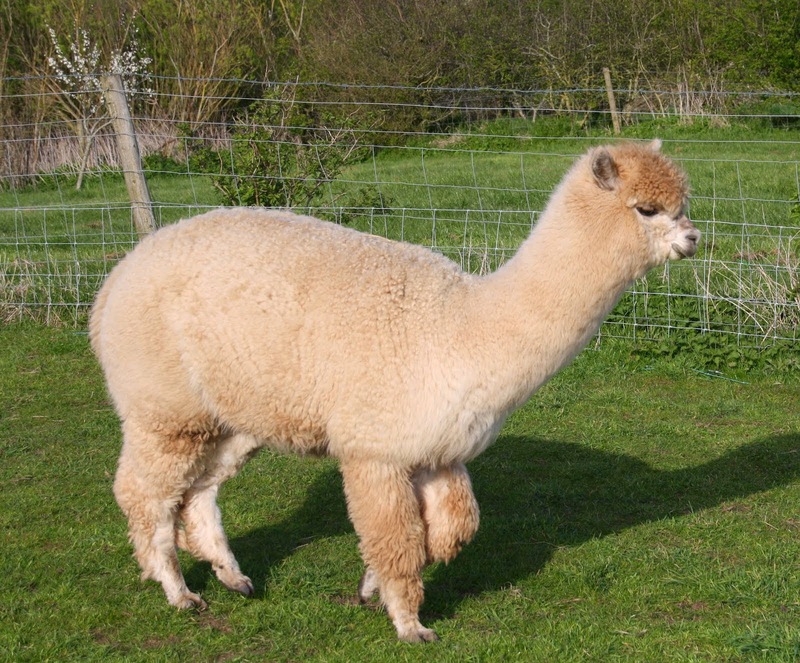 Your first steps into the show ring with your own alpacas is a big day. The final weeks of planning on the livestock front was parallelled with preparation of the trailer. Beginning with weaning, which was a delicate operation on our small plot, and brought to a swift, though happy conclusion by harsh weather, the girls had to have their halter training accelerated. The trailer which I'd only had for three weeks needed smartening up, and attention to the brakes. We were fortunate for the halter training, and for the paintwork and artwork on the trailer, to have a couple of weeks of fine weather, so I entered the show weekend comfortable that I'd done all I could to be ready.... and then the remote control on the car immobiliser started playing up - despite new batteries for both key fobs, one failed to come to life - so after a fractious friday, I made sure of breakdown cover for car and trailer. The show ground is only an hour away from us, so compared to those from Devon and Cornwall, we had a fairly civilised alarm set for 6 o'clock. The girls were surprised by a 6.45 call to come for breakfast, and we were disappointed to see they had a covering of frost on their backs, and were far from looking their best, however it meant we had un-broken blue skies. So it was into the trailer and a straightforward trip to the far side of Bristol. 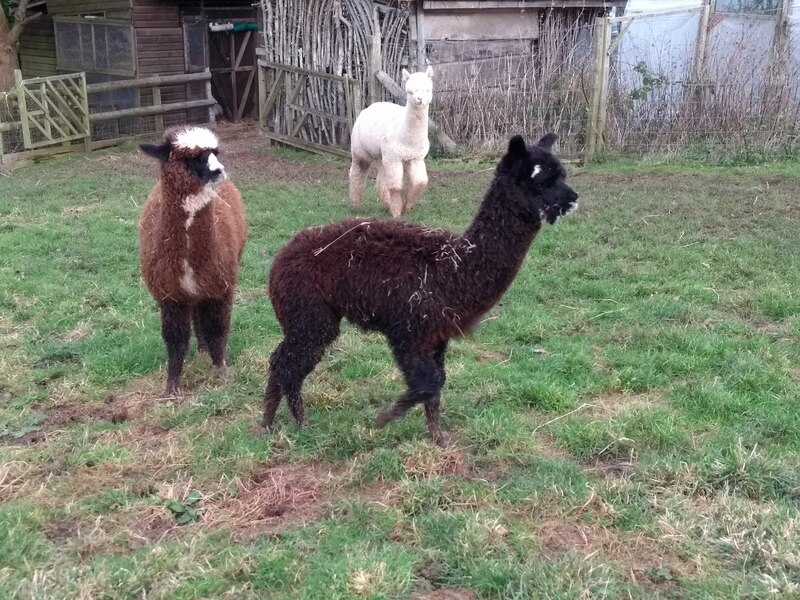 We were greeted and inspected by a calm Nick Weber, and unloading was uncomplicated - we were 'pen-neighbours' to the Empty Patou, who of course were appearing today, so we didn't meet, and West Webburn Alpacas - it was good to meet Steve and Diane (Llama Karma & Alpaca Chatter). There was plenty of time before our Class, so it was a case of parading the girls in the warming sunshine to dry off, and though they showed their boredom with concrete grazing, slowly they improved, so by the time we were called around 11 o'clock, they were presentable. As we queued to enter the ring, I still hadn't found anyone to take some photo's of our moments in the ring - until I spotted Peter from Rosewyn Alpacas - they had overtaken us on the motorway, and I used that tenuous introduction to impose on him half an hour of photography for which Peter, thank you, and credit for these ringside photo's goes to you. Being white, junior females, they were always going to be in plentiful company, and so it was that they were in a Class of 15. 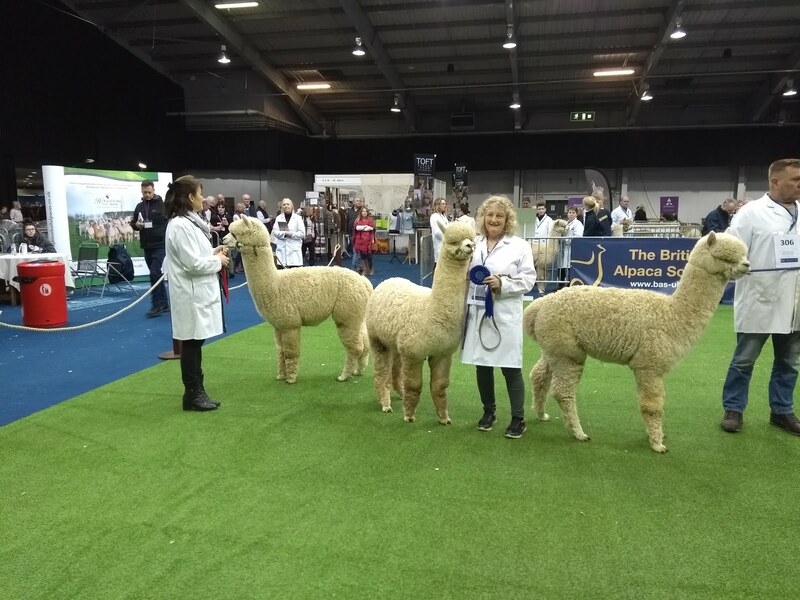 Both paraded well, but when it came to inspection, Ambrosia decided to revolve around me, until a well-placed knee from judges assistant, Karen, kept her still. Autumn Gold meanwhile, found it all so long-winded that she had to sit down between inspections. As the judge called forward the chosen few for placings, he kept returning to Ambrosia for further examination, and I dared to hope we might get into 6th place, but it wasn't to be, and our introduction to the show ring was over - it was comforting to know that she has some qualities worth considering. It was a great day, we learnt alot, and we've progressed further - next, it's the North Somerset Show on May 3rd. It was pleasing to feel welcome, and not come across officiousness or anxty organisers. Thanks to all involved from SWAG, for a smooth-running, relaxed and pleasurable event. Sounds like you had a good time...it is such fun taking part isn't it. Sorry that you didn't quite manage a ribbon...sounds like a near miss though. Good luck for the next one. Sorry we didn't get to meet up again but glad you enjoyed the experience, no doubt the first of many! Glad you had a good time. 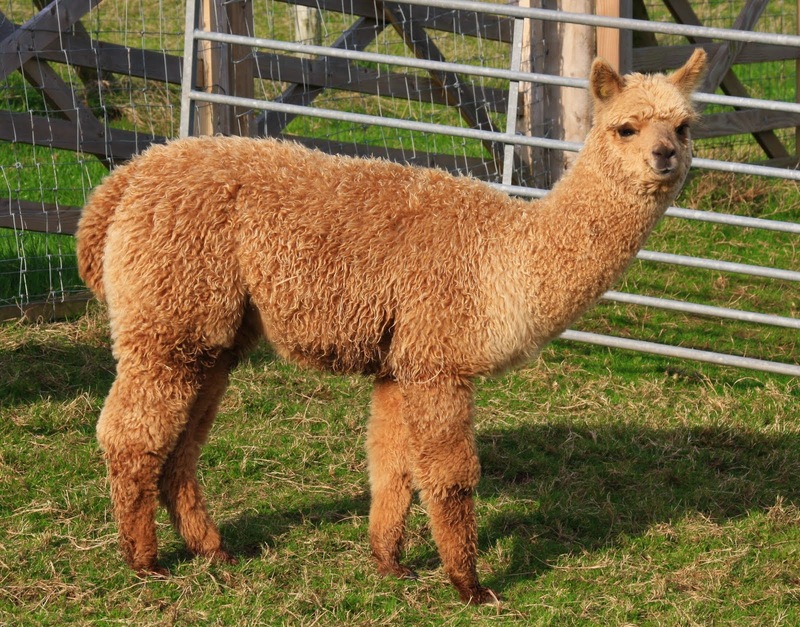 Showing is always a great way to learn more about alpacas and we are all on a learning curve! 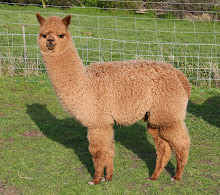 I definately remember Ambrosia - very feisty!! but you kept your cool!